Experience the thrill of finding buried treasure at Emerald Creek Garnet Area. 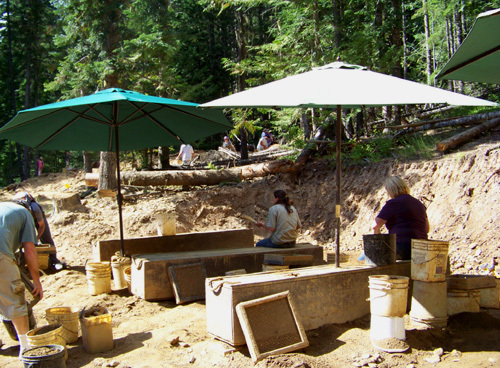 The dig area features the rare star garnet, Idaho's gem stone. The star garnet is a rare gem found only in India and Idaho. The Emerald Creek garnet area is about an hour's scenic drive south of Harrison. Due to Forest Service restrictions, it is best to arrive early. Please read the US Forest Service web page about the garnet dig area before you go. Everything you need to dig for garnets is provided at the USFS digging area.